Sorry to disappoint, but Chief Justice Peter Thiel probably isn't in the cards. A story in the Huffington Post Thursday morning cited sources who said Donald Trump planned to nominate Thiel to the Supreme Court if he wins the election. "Huffington Post's sources are lying," Thiel spokesman Jeremiah Hall told CNNMoney. "The truth is Peter hasn't had any conversations about a Supreme Court nomination and has no interest in the job." Thiel has been a vocal supporter of Trump -- one of the most prominent in Silicon Valley to do so. He spoke at the Republican National Convention and made history when he declared on stage that he was proud to be gay. He has become increasingly controversial, after news broke earlier this year that he had funded Hulk Hogan's lawsuit against Gawker, ultimately forcing the media company into bankruptcy. 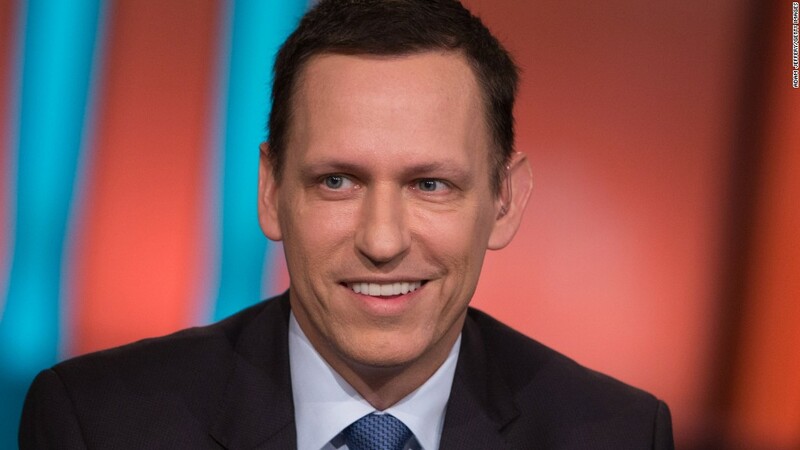 Thiel was one of the earliest investors in Facebook (FB) and currently sits on the company's board. He has also made investments in Zynga (ZNGA), Reddit and Asana.